Anasazi are a small legume related to the Kidney Bean. They are long with a dappled burgundy and cream color. When cooked the color fades to form dark pink. The Anasazi has a mild flavor and firm texture. A hybrid of the Pinto Bean, this bean has a mild flavor and firm texture. Used in chili, or cooked and mashed (like the Pinto) with a hot sauce and served as a side dish. Use some creativity, and mash with onions, hot peppers and tomatoes. Used for salads, dishes and soups. Rich and elegant... for classic black bean soup, refried beans or rice & beans and more. Ingredients include, Black Beans, Water, and Salt. Kosher. Black Turtle Beans have a deep flavor which works well in soups, such as Cuban Black Bean soup. They are also good in frijoles refritos, and chili. Nicknamed as Italy's white kidney beans and popular in many Italian recipes including minestrone soup and baked cannelloni. 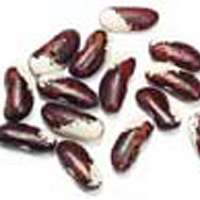 An inexpensive source of protein and nutrition these beans have a velvety texture and mild nutty flavor. 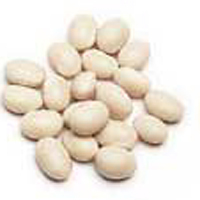 Also known as the Italian White Kidney or Fasolia Bean, Cannellini beans are a creamy white color. This bean is medium sized, about a 1/2 inch long with a tough seed coat. The Cannellini has a mild nutty flavor and creamy texture. Cranberry Beans are related to the Kidney Bean. They have a sweet, mild flavor. Like their Mexican and Italian cousins (Pinto and Kidney), they will turn pink when cooked. Delicious in recipes with sweet or savory spices. The European Soldier bean can replace almost any white bean in recipes. Use in soups, salads and casseroles, mix with diced ham and vinaigrette, serve over lettuce as a refreshing cold summer salad. Garbanzo Beans are small, hard, knobby, beige beans about 3/8 inch round. The nutty flavor and firm texture of the Garbanzo Bean makes it very versatile.